Alcatel out the One Touch Star: A genuinely attractive budget handset! Sometimes budget handsets don't capture anyone's imagination, sometimes they're great second phones or good first phones for teenagers, and sometimes all of that gets blown out the water and we would be more than happy to carry one around as our primary phone. 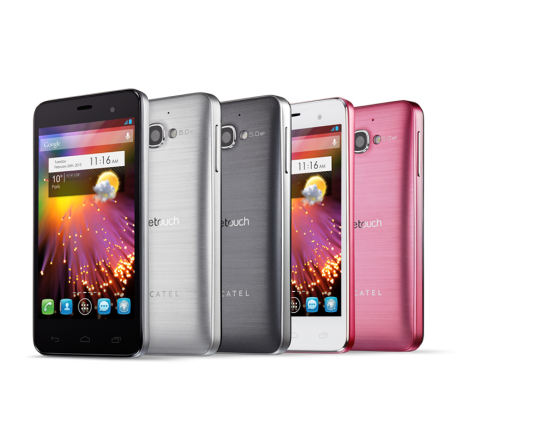 With the Alcatel One Touch Star the latter of those options is the most applicable. Just take a look at the picture embedded above, it's a really good looking device! But, it's not all about looks, sometimes it's what's on the inside which counts too. The One Touch Star delivers on this front too; on board there's an amoled 4.0-inch WVGA, that's 800 x 480p resolution display, a solid 1GHz dual-core processor, 512MB of RAM, 4GB of internal storage which is microSD expandable, a VGA front-facing camera, a 5 mega-pixel rear-facing camera. The whole show is run by Android 4.1 Jelly Bean and a 1500 mAh battery! We think we'll have to wait for MWC to hear some more details on pricing and availability, but we're excited about this one, especially if it can come in at around £100, but we think that's pushing it a bit, we expect this to land for closer to £200. For the moment though, that's all speculation and we'll have to wait and see what MWC holds! 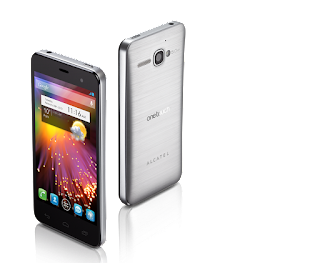 If you want a few more pictures and specs to look at the head over to Alcatel's website here!